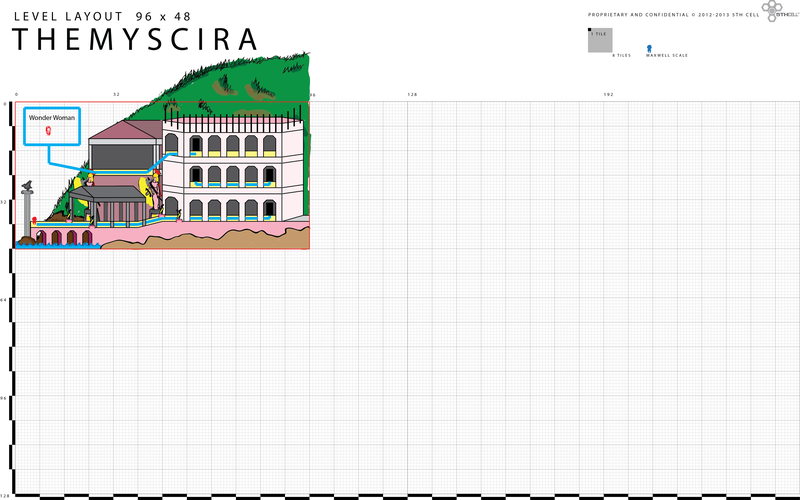 Themyscira was always planned as a smaller map - so I had to find a way to fit a lot into little space. It had to stand out against the larger maps like Fortress of Solitude and Gotham City - we needed Themyscira to have something memorable. That was the Colosseum. The large structure would be the center piece of Themyscira. It had the largest of all of our facade pieces, making up the entire front face. It would eventually become the scene of Wonder Woman's Starite mission against Cheetah. We wanted to make it unique and with Themyscira being on an island - the Docks were a must have. 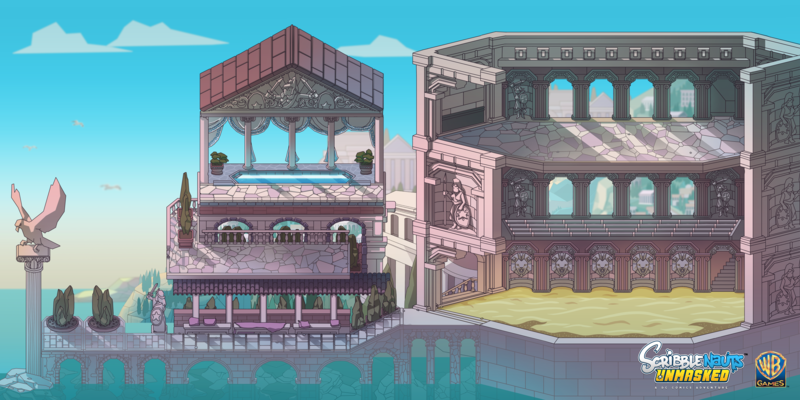 Adding water to the scene and the bright color scheme the artists came up with made Themyscira one of the more vibrant maps in Scribblenauts Unmasked. Where all warships of the Amazons make port. We needed the small map to have a real standout area - so we chose to showcase the Colosseum. If you have to fight a God like Ares... may as well do it in the Colosseum. First thing to do was research and mission design. A proposal for puzzles and mission progression was created in Word. Since we were using a DC license and not all characters would be known by others on the team - I would often provide information on lesser known characters. Once the mission design was approved, I would then move onto the level design proposal. These were usually done in Illustrator. 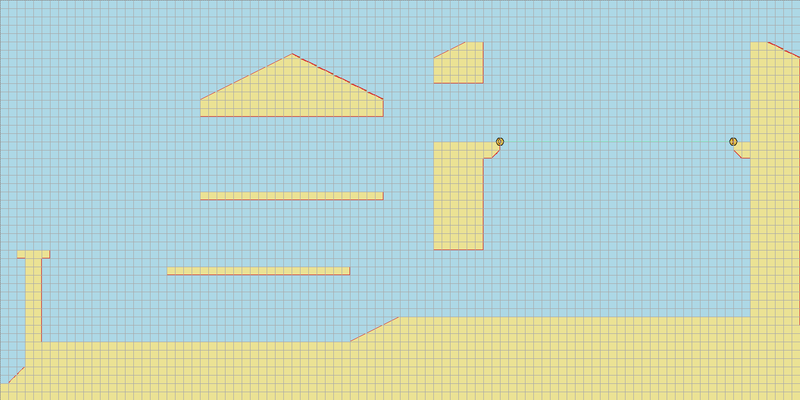 Once the Art Team drew up the map based upon the design - collision was added before it was ready for mission scripting.. This website and any files transmitted with it are confidential and intended solely for the use of the individual or entity to whom they are addressed. This website contains confidential information and is intended only for the eyes of those in contact with the owner. If you are not the afore mentioned you should not disseminate, distribute or copy any assets within. If you are not the intended you are notified that disclosing, copying, distributing or taking any action in reliance on the contents of this website is strictly prohibited.